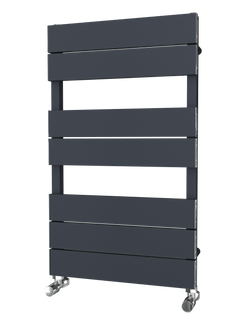 The DQ Cove Mirror Radiator has a smooth and sleek design and is available in 3 stunning finishes: White, Black and Anthracite. The dual design of the DQ Cove Mirror means that you get something very desirable and very practical. Made from mild steel, the DQ Cove Mirror would be perfect in any room. 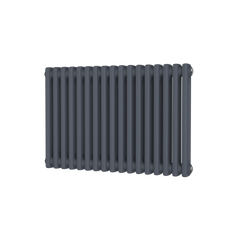 The Radox IMAGE D Towel Radiator is nothing like the ordinary radiators. It is a functional mirror radiator with hooks to suit. It is fascinating to look at and more importantly, it will heat any room. This is a lovely product and would look great in any bathroom. The Radox IMAGE D is available as either stainless steel, a textured black finish, or a textured white. The Carisa Sophia Mirror Aluminium Radiator is a practical and stunning design. This has the best of both worlds with fantastic heat and also a mirror to ensure you look great!! The Carisa Sophia would be fantastic in any room, especially hallways, lounges, and bedrooms. As it is made out of Aluminium it heats up and cools down quickly with lower energy costs as a result. 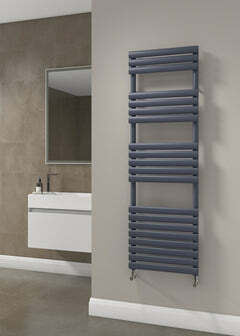 The Reina Albi Vertical Designer Radiator has a lovely minimalistic design, which will fit in with any room design. The Albi has an additional exclusive feature of a fantastic mirror so has dual function. The Reina Albi has a gorgeous flat fronted panel is made from mild steel and is available in White, or Anthracite. The Albi would look superb in any hallway, living room, kitchen or bedroom! 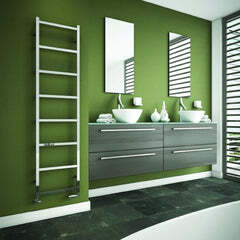 The pictures show the optional extra height adjustable towel bar. The Reina Reflect Designer Radiator features both a modern appearance combined with the practicality of a full length mirror. The Reina Reflect represents excellent value for money and high heat outputs make this an outstanding choice for any room. The Reina Reflect is available in stunning white or black colours.